Are New Tires That Expensive? I was skimming through some shots from Tucson to thin out the shots that I got from that day. I looked at one of the shots because I thought that there was something wrong with the shot. When I checked a few of the surrounding shots, I realized that there was nothing wrong. The shot was real. 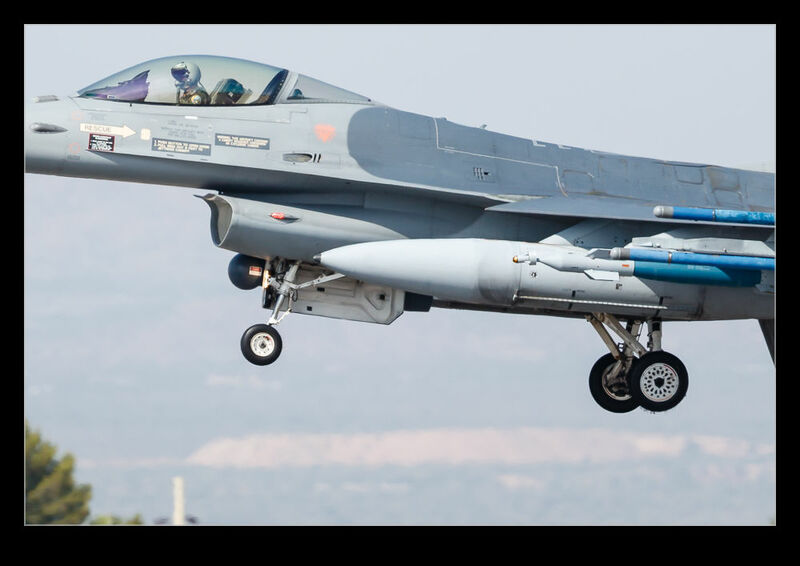 The F-16 had a tire that was looking very sad. I know that budgets are tight but I think they need to change the tires on this jet. This entry was posted in aircraft, military, photo and tagged aircraft, airplane, arizona, f-16, fighter, jet, ktus, Lockheed Martin, military, photo, replace, shred, tire, Tucson, worn. Bookmark the permalink.